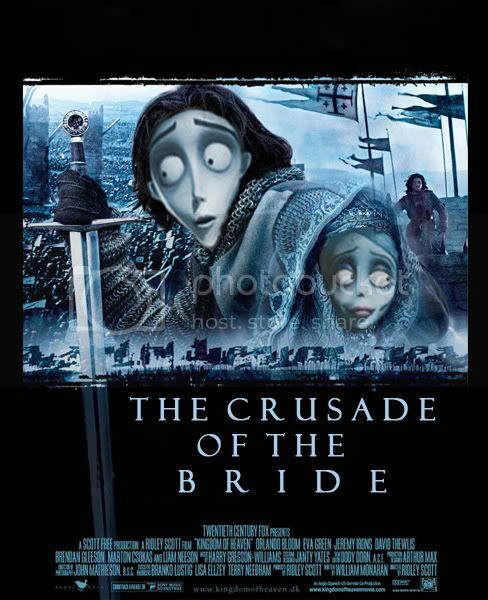 I found this "new" poster on Worth1000 - they have daily photoshop competitions and this one was for "Mate a Movie" where you have to combine two movies in a poster. Unfortunately I don't know who the artist is, because the name is hidden at the moment. Think we can all guess which two movies this poster was made from. It looks funny. Artist may be influenced by the colour of one's poster and the other's atmosphere. I like it! Now if they had just put a beard on Balian it would really look like him. You know, I would probably go see that movie.